On the 50th Anniversary of what many consider the Greatest Game Ever Pitched… a near “Perfect” game entered the record books involving a mutual team. 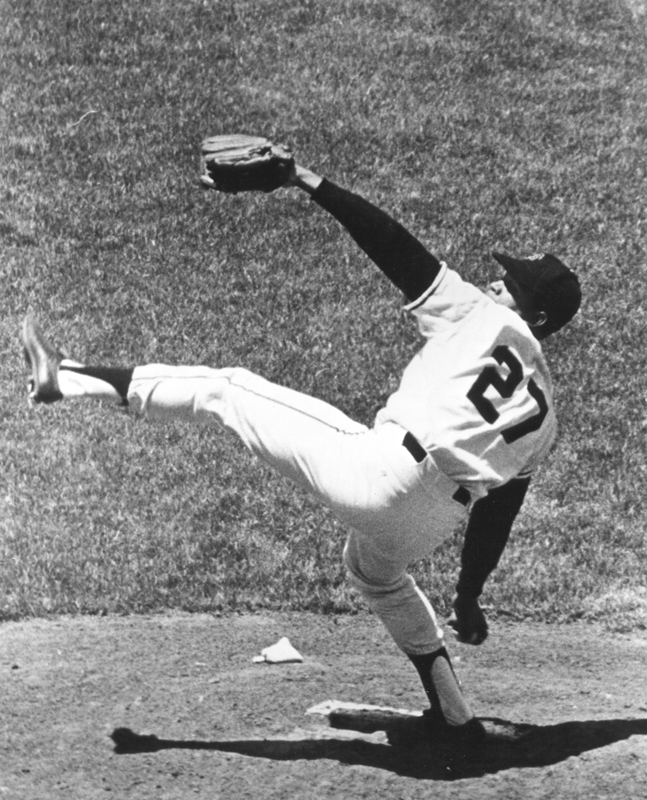 On July 2nd 1963 two future Hall of Famers and high kicking pitchers matched up in San Francisco in the before mentioned game. 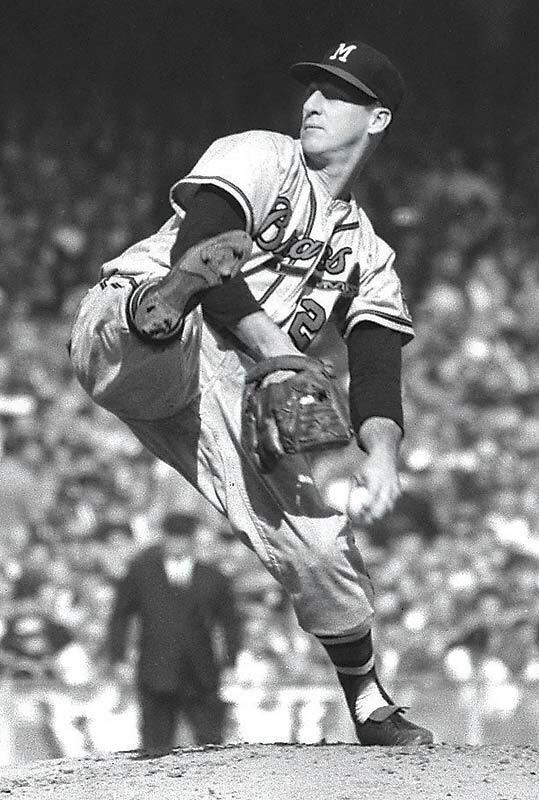 Warren Spahn of the Braves dueled with Juan Marichal in a 1-0 game that the Giants won in a walk off home run by Willie Mays in the bottom of the 16th (both pitchers went the distance throwing over 200 pitches each). Tonight, 50 years later the Cincinnati Reds faced the San Fransisco Giants in the Queen City and pitcher with the first name of “Homer” faced just one batter over the minimum and no-hit the Giants 3-0. 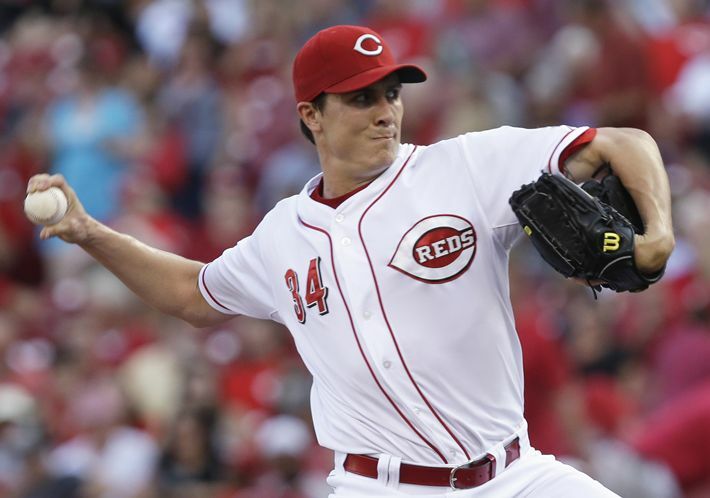 27 year old Homer Bailey had not won in his last 3 starts, and had a 5.68 era entering the game tonight, neither mattered, he ended up pitching a gem. The only real threat to Bailey’s no-hitter was on a fielders choice in the top of the 7th. That’s when a soft jam job by Buster Posey was smartly fielded by Reds first baseman Joey Votto, and instead of flipping the ball to Bailey at first, threw out Gregor Blanco going to 3rd for the fielders choice. The eighth and ninth inning Bailey was on cruise control throwing his fastest pitch of the game in the 9th at 97m.p.h.. The final out of the game was a grounder hit by Blanco to Todd Frazier on third, who in turn threw the ball to first which closed the books on Bailey’s epic evening. Bailey is no stranger to the no-hit club, this was his second. His first was 2012’s seventh and last on of the season. On September 28th he no-no’d the Pirates 1-0 in Pittsburgh. In that game he threw 115 pitches, 74 strikes, 10 strike outs, and 1 walk. Just 17 starts later his numbers were similar, 109 pitches, 74 strikes, 9 strike outs and 1 walk…and of course zero hits! Bailey is now the 16th Red in MLB history to toss a no-hitter, and one of three Reds who have multiple no-no’s (Vander Meer ’38, and Maloney ’65 and ’69). He also became the 5th MLB pitcher to have multiple no-hitters, and only face one over the minimum batters (Cy Young, Sandy Koufax, Mark Buehrle, and Roy Halladay). Congratulations Homer! Only 5 more until you tie your childhood hero Nolan Ryan, who also wore #34. This entry was posted in MLB, sports and tagged Cincinnati Reds, Homer Bailey, no hitter, San Fransisco Giants. Bookmark the permalink. I think it’s about time a Brewers pitcher throws a no hitter. It’s been over 26 years!